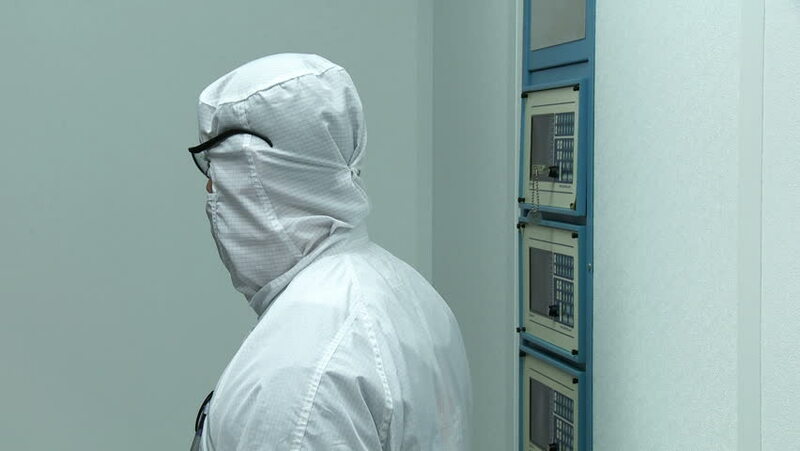 Technician operating kiln buttons while working on silicon chip manufacture in a clean room, wearing a full body white "bunny suit" coverall to avoid contamination. Mid shot. hd00:30UNITED STATES 1940s: Man painting window frame / Hands clean with turpentine. 4k00:251950s: UNITED STATES: man walks to door of house. Man opens blinds. Lady picks up Bible. hd01:52CIRCA 1950s - President Eisenhower issues an executive order to do with black children being blocked from public schools in Little Rock.